Kevin Hutchinson wants to improve the way boatbuilders and technicians connect, communicate and collaborate. The 49-year-old CEO of My-Villages, a technology company he founded in 2011 to help achieve that goal, got the idea for his company from a concept that helped connect health care and prescription systems in the United States. He has served as a health care adviser to the Bush and Obama administrations and has spent the past decade connecting doctors, pharmacies, insurance companies and patients so each can access and share information electronically. One day, when Hutchinson was having an engine problem on his 53-foot Regal, he was struck by the parallels between patients managing their health care and boaters maintaining their vessels. In both scenarios, many people and companies were involved, there was plenty of needed information (often in silos and difficult to access), and there were inefficient communications involving phone calls, emails and faxes. 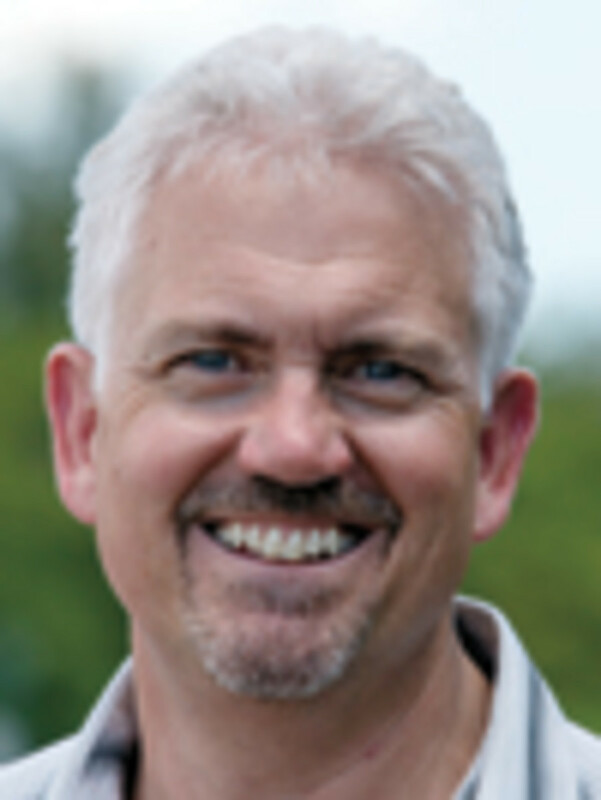 Here Hutchinson talks about his plans for applying his business model to the marine industry. You helped link up the medical world. Can you explain what your company did and how things changed? There were a lot of different people who played a role in that, a lot of different companies, as well. But we did play a leadership role on the medication side. When I first got into health care technology, it really was focused on electronic medical records. We built an electronic medical record company, a software company that we sold to GE — who still sells that today for physician offices. Back then we really didn’t have any connectivity to anything, so we learned a lot about cyber-records. Even though we automated them and took them out of the paper chart process, they were still just a standalone database sitting in the physician’s office, not really connected to anything, unable to share information or do transactions. There was a lot of value in digitizing those records because you could find information faster, you could graph labs, you could do a lot of things. But it required a lot of manual data entry, which was not an exciting thing for physicians to do. We recognized that the real value is how we connect all those medical record systems to share information and actually transact business. So we built another company called Surescripts, which is now the nation’s backbone for medical-history and medication-history information sharing. As you move from one office to another office and they’re using a bunch of different systems, that company connects all of the various software products out there so information can be shared, particularly at pharmacies. We have almost 100 percent of the pharmacies in the United States on that network, and now we have about 60 percent of physicians, as well. We’re really proud of that. It’s doing a few billion transactions a year now, and any time you go to a doctor and they send a prescription through a computer to a pharmacy, it goes through that network. Then we invented a mobile technology company after Surescripts that actually took advantage of that network, and we sold it to a company in Boston called NaviNet. It fit well strategically in their product line. I was an adviser to President Bush’s administration, and later the Obama administration, to help the government build something called the National Health Information Network. Then I took a break and thought about what to do next. How did you make the leap from health care into boating? I was on my boat one day and had dropped an IPS drive. It burned up — brand-new boat — so I was dealing with Volvo, I was dealing with the manufacturer of the boat, I was dealing with my service guys, and everyone was asking for the same information. They wanted documents, wanted to know when this or that was installed and model numbers of the drives that were on there — I was a patient all over again. I was trying to give my information to the right person, but I literally for several months was playing the go-between between everyone trying to get the drive fixed. And I said: There’s got to be a better way. We know how to do this; we’ve done it before. So My-Villages was formed. Everybody has their own village of people that help support their vessel. I have my own, my dock neighbor has his own, so we created this around that concept. Everyone’s village is unique to them as an individual, and I wanted to create this connective environment in which this information could be shared. What’s the vision for the company and where is it headed? I want to connect the marine industry so all of the various entities can share meaningful information and enable collaboration to really improve the overall experience of boating. It’s such a simple statement, but there is a lot that has to happen. We have to figure out how we connect the industry, how we get people to share information online in a structured form, not just in chat rooms and forums and blogs. They have their place, as well, but I can’t reuse a piece of information in a chat room. I’ve got to find a way to store that. I have a Regal 5260, and I follow someone online called Capt. Frank, who writes Frank’s Pearls. Every time he finds a piece of wisdom about boating, he adds it to Frank’s Pearls. How do we create a forum where we can follow that advice and set reminders about when I’m supposed to do what’s recommended each month? In addition, there’s this unbelievable amount of information in the manuals for your engines, your generators, your HVAC, for every component on the boat, that contain lists of things you’re supposed to be doing every month, every year, every 100 hours. It can be intimidating for boaters trying to remember all that. And there are so many different configurations for so many different makes. The supply chain is seemingly endless. How will you connect all that? You can’t imagine how many hospitals and labs and insurance companies exist in the health care industry. You have to get momentum going and connect with major industry players. When we connected the pharmacies, once we had CVS, Rite-Aid, and Walmart and Walgreens, the rest came in droves. One of our partners in this is Hinckley Yachts, and what Hinckley wants to do is customize an operating manual so it will teach [boaters] how to turn on the generator and shut it down, for example. And what breakers should be on when you start the engine and what breakers should be off when you shut it down, that kind of thing. We want to get that information to the user right when they need it instead of handing it all to them in some huge book at the time of purchase. We’re doing that by connecting with the GPS on boaters’ phones, so as you walk toward your slip your phone will pop up your initial startup checklist. You can easily turn off that option as you get in the routine of using the boat, but it’s not buried in some operating manual under the helm somewhere getting moldy. To connect the entire industry into this, we built a free service that enables entities to create their own communities. So, as an example, Hinckley can create a public community, a private community or even a hidden community. Entities can decide what information they want to share and how they share it. I may want to follow Hinckley as a company, so I’ll get alerted when they have new information that gets shared. I can favor that advice, and once I do, if the advice is to do something monthly for maintenance, if I buy the premium service, it actually brings that information to me. The connection part is important because we’re connecting people with the information that’s relevant to them. When will these services be made available to everyone and on what platforms? The free service went into beta in October of last year. We announced it at IBEX. The premium service went into beta in February, which we announced in Miami. We have about 100 participating companies on the free service beta side. By early summer we’ll bring the free service out of beta, which is invitation-only. We want to make sure we’re happy with it before we open it up. On the premium service side, we’re working with partners on connecting boat owners, creating their profiles and testing features and functionality. They’re promoting and selling and using it with their customer base over the summertime, and probably by the end of the summer we’ll be ready to take that out of beta status and open it up to the public. The service is both a Web application, as well as a native iPad and iPhone app, and it also runs using a browser on the Android. It’s very important that this work on any device versus just being a website or Web service. 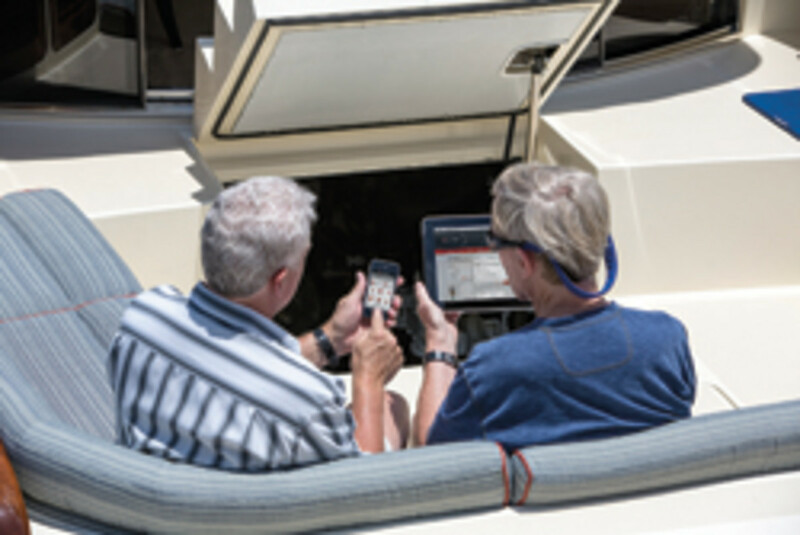 It also works in a disconnected state because we know boaters and sometimes service techs might not always be connected, so having access to manuals is important, and they can synch up when they get back to a connected environment. Working with the industry in this collaborative, we’ve started calling it the “boat village” because it’s members of all the industry. We couldn’t do this without all of them. We’re just looking forward to bringing this into the public domain later this summer.